Or, stream and download all available episodes in the media player below. I’m a passionately curious guy. I spend a lot of time thinking and learning about a variety of subjects and I tend to filter much of what I learn through the lens of personal development. To me, personal development is anything that helps me improve intellectually, emotionally, physically, spiritually, socially, financially, or in any other aspect of my life. Why do people think the way they think? What is the common ground between seemingly disparate philosophies/worldviews? How can the study of evolution help us better understand ourselves and others? What do we know about the history of the universe? For the past year or so, I’ve been wanting to explore these and many other topics with you all on ThinkGrowProsper, but didn’t know exactly how to go about it. It seems the answer was staring me in the face all along: Podcasting. I’m a huge fan of podcasts and have been listening to them for years. They are a convenient and effective learning tool -- long enough to explore complex ideas thoroughly but short enough that you can finish an episode during a few commutes. 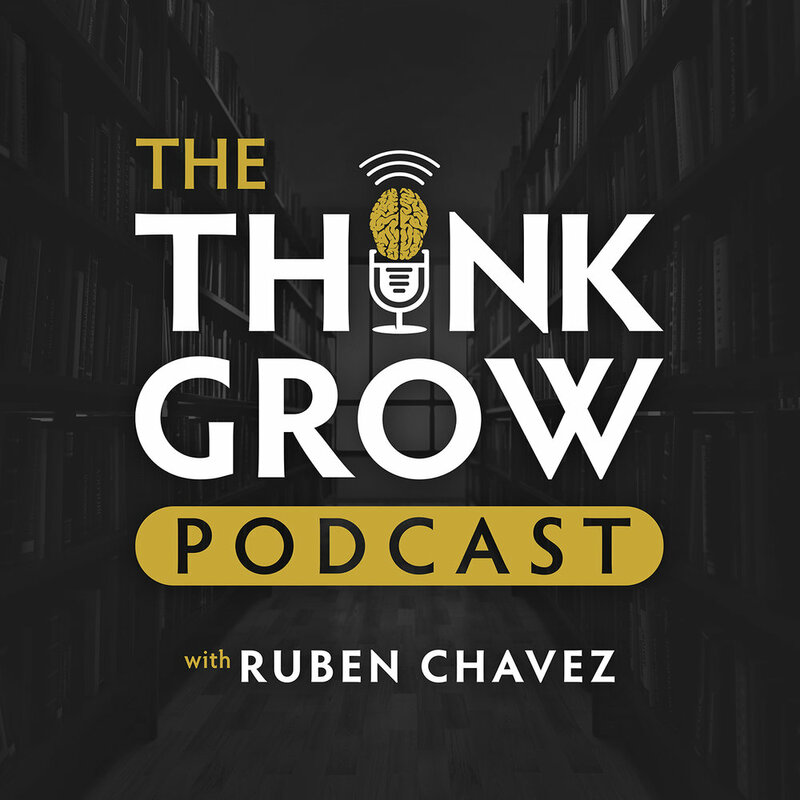 I envision The Think Grow Podcast as being a place where personal development meets real life. I plan on exploring a variety of topics with interesting people to expose you to different perspectives you can use to enrich your mind and improve your life in whatever way you see fit. I want to create a space where I can explore topics in more depth and nuance than in an Instagram caption or even a blog post. With social media training us to have shorter and shorter attention spans, I want to help people have a richer and more meaningful media experience through this kind of long-form content. This podcast may also end up being a place where I provide book recommendations, reviews, and breakdowns to keep you updated on what I’m reading, since you all seem to be interested in that. I don’t know exactly where it will go but I’m open to wherever it leads. As of now, it’s more of an experiment than anything. Whether or not I continue will ultimately depend on your response to it and my enjoyment of it. This first episode is very special to me -- not just because it’s the first but because my wife and business partner, Vanessa is my co-host! I wanted to introduce her to you all from the very beginning because I’ll likely reference her from time to time and she may even pop up in future episodes. For the first few minutes, we chat about some of the reasons that compelled me to start this podcast. The rest of the episode (starting at around (08:45) is a Q&A kind of format where I answer questions that were submitted by you all several weeks ago. If you like what you hear and want me to continue producing this kind of stuff, the best way to let me know is by subscribing and/or leaving a review on iTunes. You can also shoot me an email at podcast@thinkgrowprosper.org.